In an interview with the National Journal, Senate Majority Leader Phil Berger revealed that he’s been mulling over a Senate run. That comes as no surprise to anyone. And there are plenty of NC Republicans who are considering or praying about a Senate bid. The above is much more typical of politicians. It’s the standard “considering it” statement. Most candidates will not go out and attack their opponents until they’ve reached a definite decision. It’s worth noting that Berger and Hagan share the same geographic base. Both are from the Greensboro area. A Berger run could blunt some of Hagan’s strength in that region. Would Berger be a strong candidate? It’s hard to say. The latest poll from PPP showed Berger down 11 points, which is a larger gap than most of the ‘serious’ candidates. 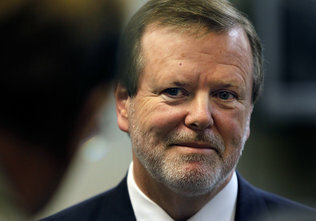 Berger suffers from the poor image that many North Carolinians have of the General Assembly. And in contrast to Thom Tillis, Berger comes across as a more rural conservative, which could prove a detriment when reaching out to key suburban voters. His personal story, though, is a compelling one, and he’s proven far more adept than Thom Tillis at delivering red meat to conservatives, including launching a petition to repeal Obamacare. Berger’s challenge will be to project a ‘softer’ image to the moderate votes he will need to win. Fortunately for Republicans, Berger seems to be aware that the party lost a number of Senate seats last year due to inferior candidates and poor messaging. The state Senate leader sounds like he’s gearing up for a race. This would set up a battle between him and Thom Tillis, and lots of intrigue between the two chambers leading up to the primary election. Greg Brannon, an obstetrician from Cary, has already announced, and there will doubtless be more candidates. In this deeply divided state, the Senate race in 2014 is assured to be an exciting affair.